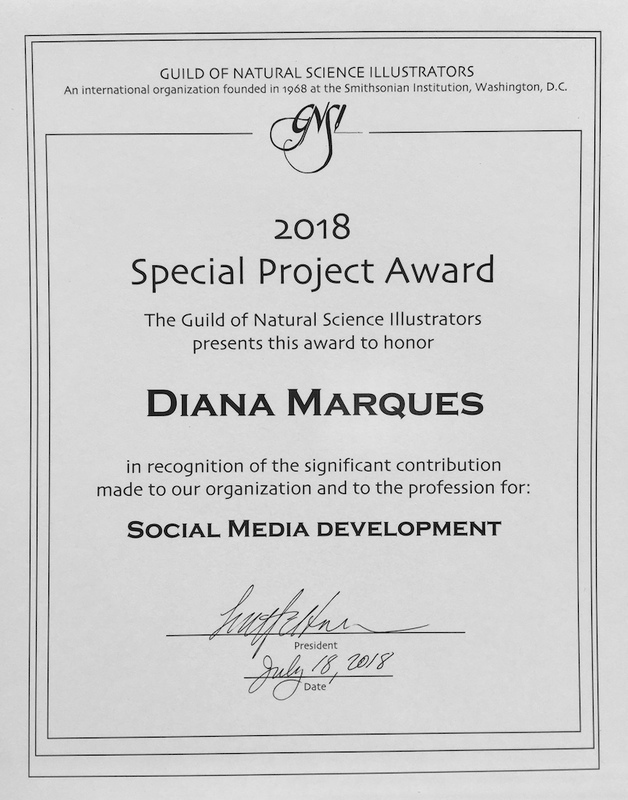 A wonderful and unexpected recognition from the Guild of Natural Science Illustrators – a Special Project Award! 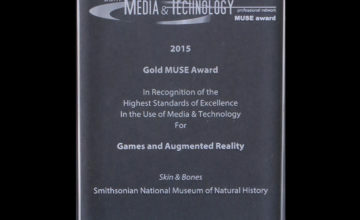 This award pertains to the work I have done on developing the social media presence of GNSI, both year-round and during the annual conference. 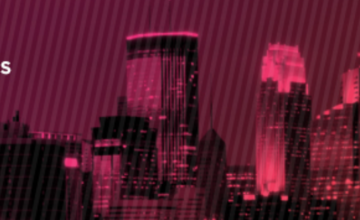 The purpose of this work has been to 1) reinforce the sense of community within conference participants, 2) give non-participants an opportunity to follow remotely, and 3) produce assets such as video, photographs and written content that perpetuate and disseminate the value of the events. 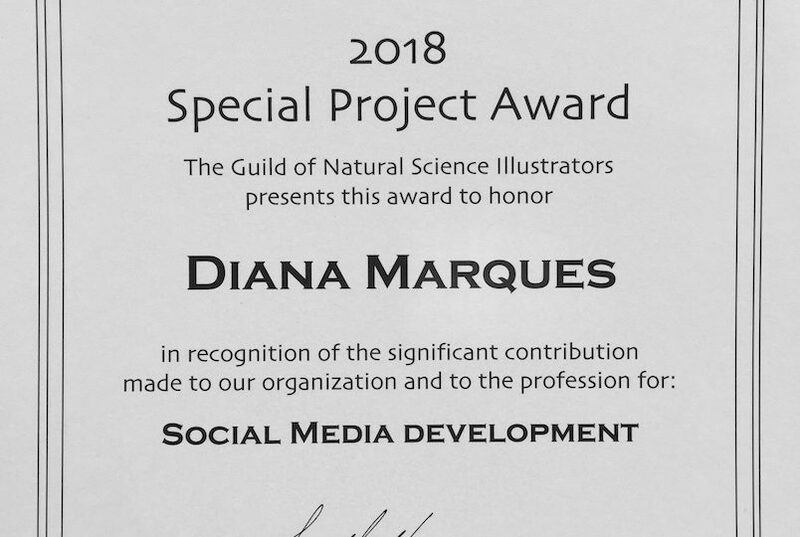 I have helped recruit and onboard conference social media mavens, and defined and improved the role of the GNSI Social Media Coordinator, the person who throughout the year ensures that science illustration news are carried on Facebook and Twitter to the many GNSI followers. Together we have harnessed the technology, and informed, educated and amused hundreds of followers. about 19 hours ago @LucyIkkanda @NatGeoMag Thank you! about 19 hours ago @tbschwarz @NatGeoMag Thank you so much! 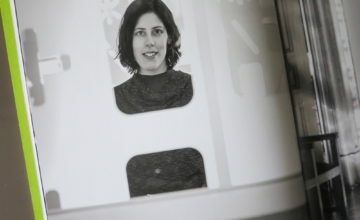 Content © Diana Marques 2004-2019. All Rights Reserved.